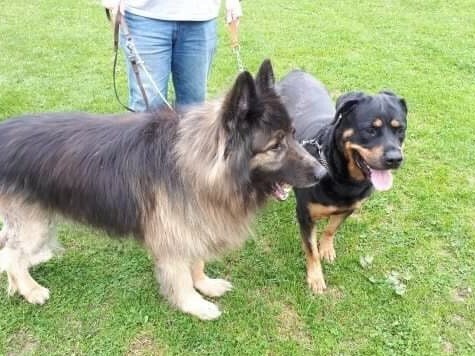 This bonded pair are slowly heading for their retirement years and are sadly looking for a new home together as their owner can no longer care for them. Rocky is a 9 year old neutered GSD. Black and Tan long haired. His owners say that he doesn't like being groomed and as his coat was gettlin very tangled he has had half is tail and his fluffy knickers shaved off. I am sure that they will grow back . ena is a 7 year old Rottweiler who has lived with Rocky since she was a puppy. She adores Rocky and looks up to him. 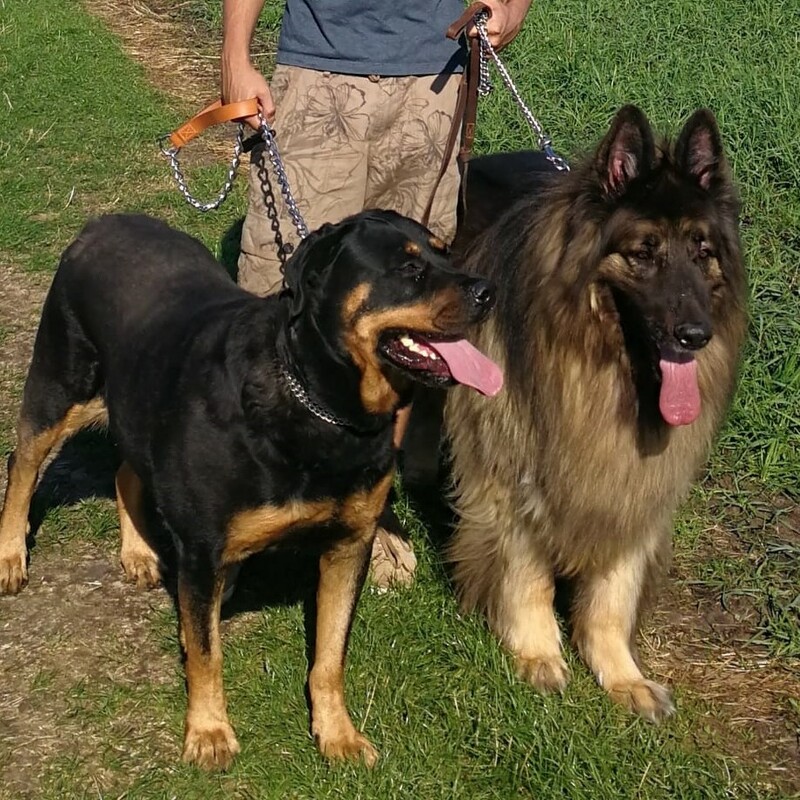 They are both quite strong on the lead but it is believed at present they are only taken for 1 walk a week. They live in half a kitchen with access to a courtyard. 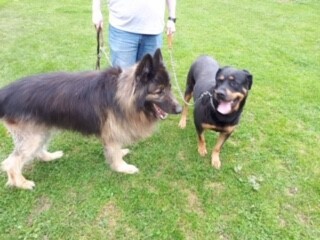 Zena is said to be good with other dogs but Rocky is protective of Zena so can react to other dogs. Rocky is said to be boistrous and exciteable. He is easily distracted as he loves to chase after a ball and fell in love with the assessors liver cake. He is protective of his sister but should she dare to steal HIS toys he tells her off. He will pull to chase if he sees a cat but with no distractions is not too bad on a lead. Both dogs culd do with losing a few pounds. They need regular exercise and stimulation. They maybe older dogs but look good for their ages. 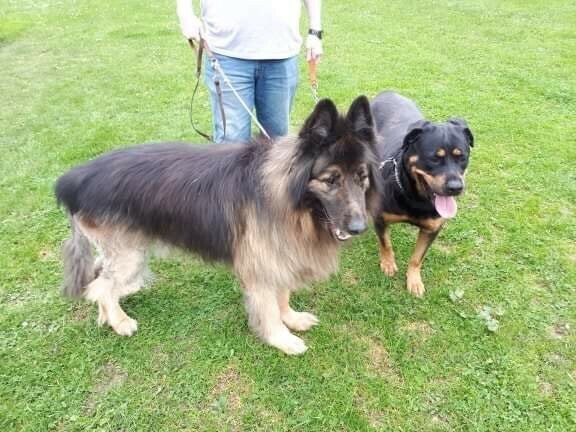 Could you cope with a lovely bonded pair ????? ?